Iveco 190.38 Special is a joint development of two world-famous automobile manufacturers: Fiat and Iveco, the truck is early 80s, quite similar to other European trucks of the time, the external features of the cab, vertical exhaust pipe and other design elements reminiscent of the classic American technique. 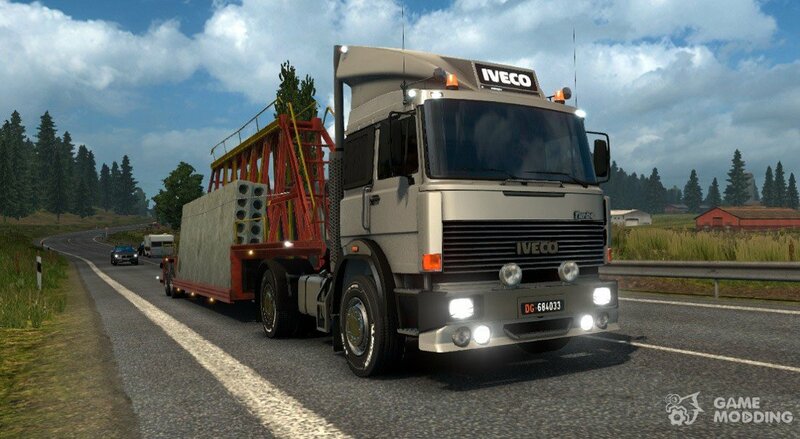 Iveco 190.38 Special is equipped with a 8 cylinder engine turbocharged V8, with the capacity of 380 HP Has a load capacity of 18 tons. 3D model of the tractor is excellent, can be traced even to the smallest elements. 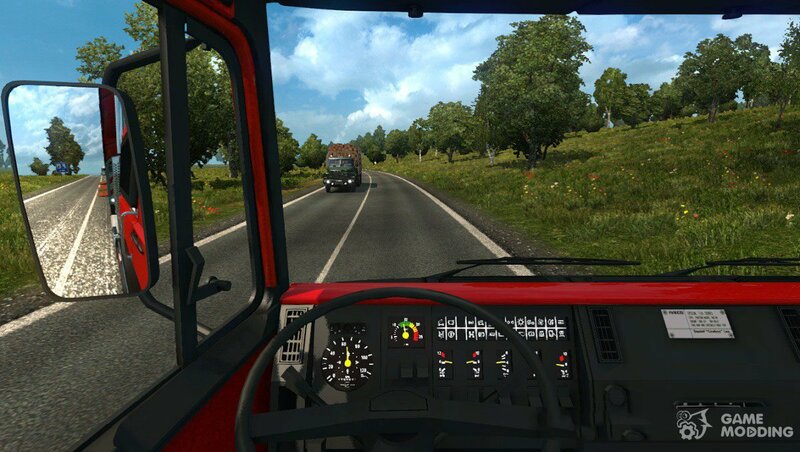 Interior Iveco 190.38 original, the textures are HD quality on the dash display works, buttons, levers, etc. 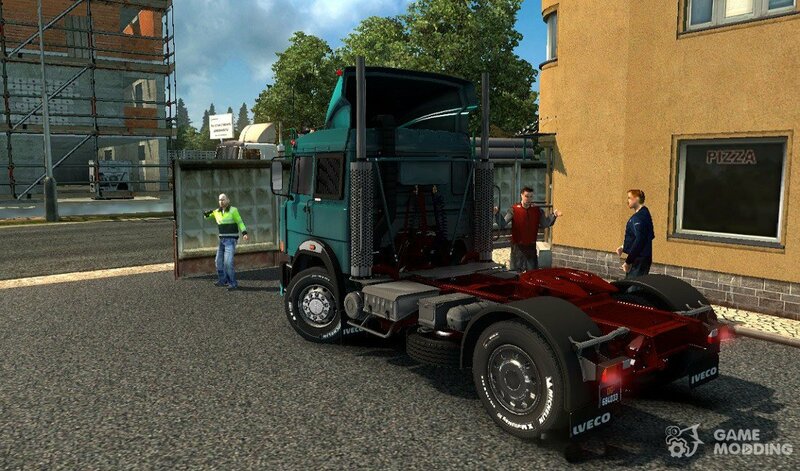 Unfortunately it is not possible to change the color of the cab and no tuning, but overall the mod certainly deserves the highest score. 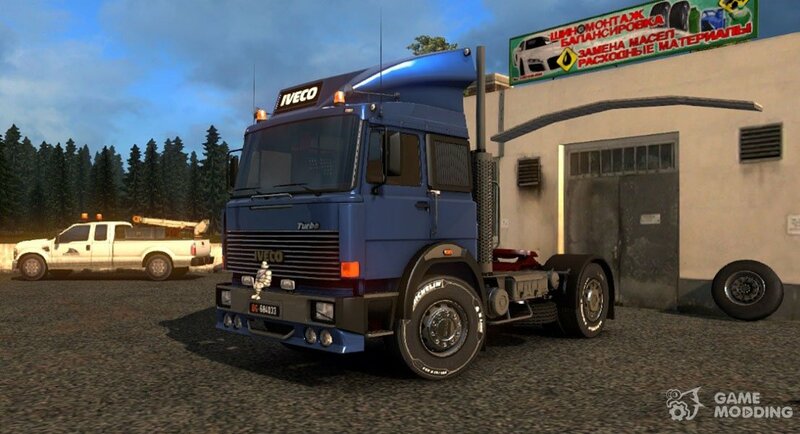 Iveco 190.38 is sold in salon Iveco.